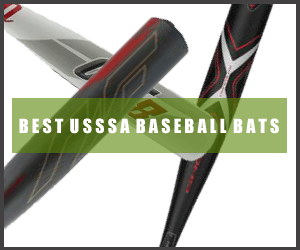 Best USSSA Baseball Bats 2019 - Explore top 9 Rated Now! Best USSSA Baseball Bats 2019 – Explore top 9 Rated Now! 2019 brought so many advanced options for the players who are now looking for USSSA bats. We have conducted an extensive research to find the best USSSA baseball bats of 2019. In doing so, we have consulted the industry experts, leading manufacturers as well as a number of customers. 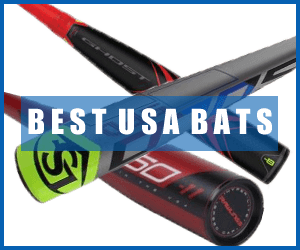 Based on their review, we have shortlisted 9 best USSSA bats. Included below are brief reviews of each of these bats. Durable, light, sturdy, perfect. Every choice in the list will offer the perfect hit and awesome balance. You can also check out them quickly in the table below. Based on our research, the Easton 2019 USSSA Ghost X Hyperlite bat is one of the best USSSA bat available on the market. This brilliant bat bears the stamp of Easton which in itself is a guarantee of excellent quality and reliability. Easton has constructed this bat using high-performance EXACT Carbon composite material. The bat features a single-piece design, making it an explosive power-hitter in the hands of the right player. The carbon construction ensures that the barrel is soft enough to offer exceptional flex on the plate, letting the players hit farther. The barrel has a 2 3/4 inch profile and delivers top-of-the-line performance. 2019 Ghost X Hyperlite has a weight drop of -12. This makes it a fairly light-weight bat and enables players to swing it at great speeds. The overall make and feel of the bat is perfectly balanced. The balanced profile allows players to conveniently control the swing momentum when hitting with the bat. Easton has topped the bat’s handle with Lizard Skin grip for added comfort and cushioning. The grip reduces any feedback from the barrel while also offering a superior grasp for the players. Composite plus paraflex electric material, highly responsive barrel, great on hands, this DeMarini CF Zen is a total game changer for the baseball players. DeMarini secures the second position with its quality construction and ideal material to meet all USSSA standards and gain its certification. To face the harshness of every temperature, the bat is built in such a way that the barrel will remain consistent in all weathers. Carefully made by using the Paraflex and composite materials, this bat is one step ahead of its counterparts. The overall bat feel has been optimized by using a patented 3Fusion System. Not only that, but this patented system also gives the improved weight control to the bat for the best game. Another great feature of this bat is the new X-Lite knob. Because of this the bat ideally fits in the hand of the player and offers the hassle-free game. 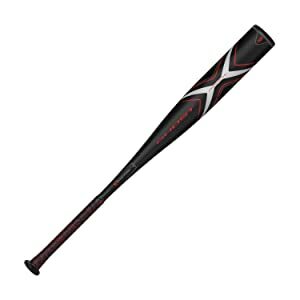 This DeMarini baseball bat is specifically designed for the player who wishes to switch from the -10 to -5 CF series bats. Overall for any USSSA player, it is one of the best Senior League bats available today. Marucci is another brand that has a consistent record of producing top-quality baseball bats. It is no surprise that one of the USSSA approved youth baseball bats in our list is a Marucci offering. 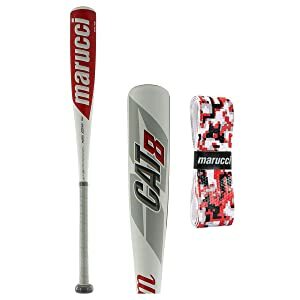 Marucci Cat 8 comes constructed from exceptionally strong aluminum alloy material. The barrel of the bat features thinner walls which enables better flex and greater hitting force for the players. Alloy construction ensures that the bat is incredibly durable and suitable for use in most conditions. The bat features the standard 2 3/4 inch barrel and has a weight drop of -10. Cat 8 also features the trademark AV2 Antivibration Knob technology. The technology is a vibration dampening system which mitigates feedback vibrations from the barrel to the handle and ensures a more smooth hitting experience. The overall design of the bat is a single-piece. Together with its alloy make, the bat is a formidable hitting force in the hands of a power hitter. Lightweight swing, FLEX barrel technology, advanced dynamic feel, and new CXN evolution construction, this bat offers all. This Easton Ghost X Evolution made to my list because of its FLEX barrel technology that offers 20% softer barrel for a better feel while playing. It is a tough bat that has light swinging weight with more speed when the ball comes at contact with the bat. All this is possible because of the two-piece speed balanced design. To optimize barrel performance and better feel at hands, it uses X Advanced Carbon Technology and CXN evolution construction. It is an expensive bat that worth its cost because of the great feel offered to the hands of the player while playing. Approved to be played ins USSSA and other Leagues that follow the 1.15BPF standard, this bat is great for the players who want an ideal swing with a comfortable grip. 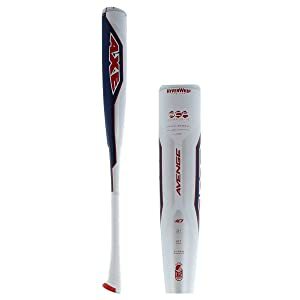 The Axe Avenge LTD Edition is another excellent bat that has made it to our USSSA bat reviews. This bat comes with the hallmark design and looks for which Axe is famous. Axe has constructed this bat completely from composite material. The bat has a two-piece overall design which makes it a great choice for players who aren’t power hitters. Two-piece design adds to the whip effect of the bat and reinforces the swing momentum with additional hitting force. Axe has used its Endogrid technology in making this bat. This technology reduces feedback vibrations through the barrel while also increasing the size of the sweet spot at the same time. The barrel is sized at around 2 3/4 inches and together with the handle, features a perfectly balanced profile. The balanced swing weight makes it easier for players to direct the bat’s swing and channel force through the barrel. Axe Avenge LTD Edition features a drop weight of -10. The handle comes with the typical Axe handle which is ergonomically designed and has a flush backside. The unique design allows players to swing Axe bats with greater ease, convenience and safety. 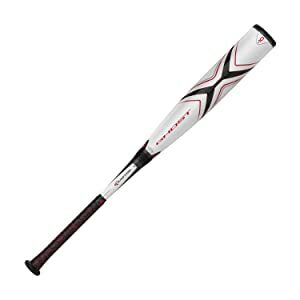 One piece alloy, LS pro comfortable grip, and 6-star end cap design, this baseball bat is ideal for a perfect game. This Louisville Slugger’s new model is perfect for the players of Junior Big Barrel and Senior League. With one-piece construction, this bat has a large sweet port so you don’t miss any ball. In clutch situations, this bat does greater damage. It is the ideal mix of cushion and tack when you initiate hitting. Having 2 3/4″ barrel diameter; 7/8″ tapered handle, this bat feels great at hands and don’t require much force to swing. Louisville Slugger dominates the aluminum bats again with this new model. This bat meets all USSSA 1.15 BPF standards. Single piece construction, 100% alloy, with smooth touch and perfect swing, this bat is the last but not the least in my list. It is impossible to leave Rawlings behind when it’s come to best USSSA baseball bat. It is the high-performance metallic bat that has the ideal balance with outstanding pop. This Rawlings bat has the 5150’s single piece construction to improve the overall performance of the player. This specific model is engineered using pOp 2.0 technology that increases the sweet spot when the ball comes in contact with the bat. Aerospace grade alloy is used in construction that makes it a high-performing durable bat present in the market. It has a smooth feel with exceptional bat speed. This bat offers maximum balance with its huge 2 3/4-inch barrel. One piece alloy baseball bat that offers maximum battery speed with full control of barrel. 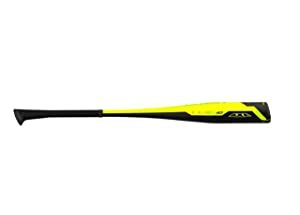 Axe Bat 2019 Origin is the perfect bat for the power hitters that offers better performance with lifetime durability. The bat is made with ultra strong performance LP1 alloy that makes the bat your first priority season after season. It is an improved model having patented Axe Handle that offers the following beneficial features to the bat including enhanced barrel control, ideal swing, and maximum bat speed. The bat comes with the composite HyperWhip end cap that reduces the unwanted weight that usually presents due to the tip of the bat. Other than that, its extended sweet spot also plays a role in improving the performance along with a bigger barrel and faster swing. To eliminate the sting that that is present in the one-piece construction, it uses the shock absorbing Endogrid technology. Meeting all the 1.15 BPF standards and having USSSA certification, it is a great low range bat for baseball players. Combat 2018 Maxum is another excellent bat that is USSSA baseball bats approved. Combat is not new to the baseball manufacturing industry – that company has consistently produced high-performing baseball bats by using innovative technology. This is also reflected in the Combat 2018 MAXUM bat. This bat comes constructed from composite materials and features the precision molding technology. Combat has also used the seamless construction design to make sure that the overall feel, make and construction of the bat is perfectly smooth and delivers a consistent performance. At the same time, the bat has an extra-large barrel with a sweet spot which is 20% to 40% larger than most other bats in the category. 2018 Maxum has an overall weight drop of -11 and bears the USSSA 1.15 BPF certification. It is ready for use right out of wraps and doesn’t require a break-in period. The USSSA certification is the approval of the United States Specialty Sports Association. Many leagues require baseball bats to carry this certification before they can be approved for use. The basic purpose of the USSSA certification is to make sure that a given bat does not perform above a specific limit. The limit is ensured to prevent injury of the players and maintain consistency of performance between different types of bats. This also preserves the fairness of the game. The maximum size of the barrel must not exceed 2 3/4 inches. In many cases, USSSA bats also come with other barrel sizes such as 2 1/4 inches and 2 5/8 inches. The USSSA rules stipulate that these sizes are perfectly fine as long as the barrel diameter does not go above 2 3/4 inches. Must adhere to the 1.15 BPF metric. BPF stands for Bat Performance Factor. It determines how fast the baseball comes off the bat when hit. 1.15 BPF is the maximum limit and all USSSA-approved bats must not exceed this limit in terms of bat performance. In most cases, this metric ensures that non-wood bats perform at par with the wood bats. Must carry the USSSA mark. Any approved USSSA bat must carry the USSSA mark and certification on its body. This makes sure that the bat can be checked for its approval at any time, especially before league matches. Bats that do not carry the USSSA mark are considered non-approved bats and are not allowed in USSSA league matches. Material: USSSA bats typically come constructed from composite, hybrid or alloy materials. Both have their advantages and disadvantages. Composite bats generally deliver a better performance with lesser effort. They are also more durable and easy to use as the feedback vibrations are comparatively little. Finally, they will withstand a lot of rough and tough use. However, composite bats are more expensive than their alloy counterparts. Alloy bats, on the other hand, are quite sturdy and are a good choice for a power hitter. But they may not deliver as optimally as composite bats, although their lower price in comparison is a plus point. Design: USSSA bats feature a variety of designs, including single-piece, double-piece and multi-piece designs. Single-piece bats are strong, offer lesser flexibility and whip effect, and are right for a power hitter. Double-piece bats offer more whip, reduced vibration and make it easier for players to hit far. Most of what is true about double-piece bats is true for multi-piece bats as well. Some multi-piece bats feature new design features such as vibration dampening technology for a more smooth and effective hitting experience. Barrel Size: Typically, USSSA bats come with a barrel diameter of 2 3/4 inches or 2 5/8 inches. 2 5/8-inch barrels are smaller than 2 3/4-inch barrels. A larger barrel offers a larger sweet spot but it is also heavier and reduces the swing speed. A smaller barrel, in comparison, requires greater precision when hitting – but it affords a quicker swing weight. In most cases, power hitters prefer a smaller barrel and greater swing speed. USSSA baseball bats are the staple of the sport, especially when comes to the younger leagues. Understanding the certification and choosing the right USSSA bat is important – it helps a player deliver an optimal performance at a USSSA match.